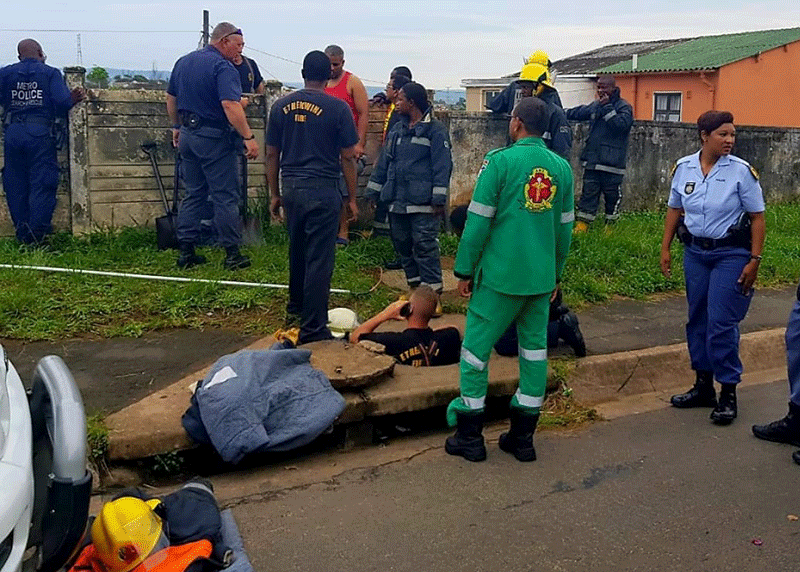 KwaZulu-Natal rescuers are trying to reach a baby believed to have been dumped in a storm water drain in Newlands East, north of Durban. The infant appears to have been stuck around seven metres down the storm water drain, on the corner of Baracuda Road and Herring Circle, since the early hours of this morning. Rescue Care's Garrith Jamieson says neighbours said they heard a faint cry. "The rescue is underway at the moment to try and figure out how to get through to the baby, to find where exactly the baby is and how to carry out the rescue," Jamieson said.